Confessional Festival returns with a line-up including PINS and more, Getintothis’ Scarlett India has the details. Manchester-based all-female band PINS have been announced as the festival’s headline act, after just being chosen to support Stereophonics on their sold out tour. This year’s festival will take place at the abandoned Holy Trinity Church in Blackburn, Lancashire on Saturday 8th September. It will be the fourth year that the festival has taken place. London-based Paves and Glasgow band The Ninth Wave are just two from the much-anticipated line-up. The night will end with Kevin Rowland as a special guest DJ. This year’s event has been extended to 10 hours. It will start at 2pm and end at midnight. 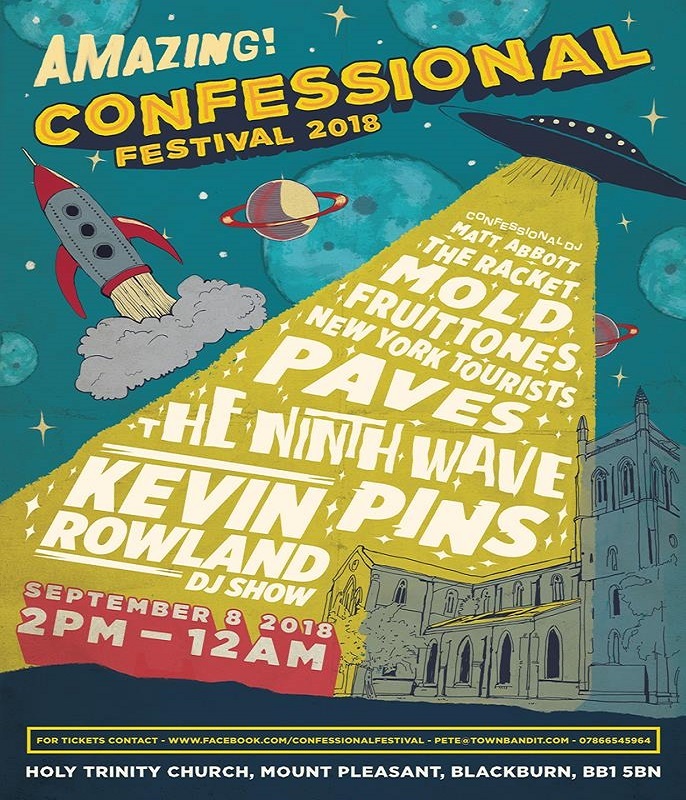 To win a pair of tickets for Confessional Festival all you have to do is like the Getintothis Facebook page, share the post below and tag in two of your friends.